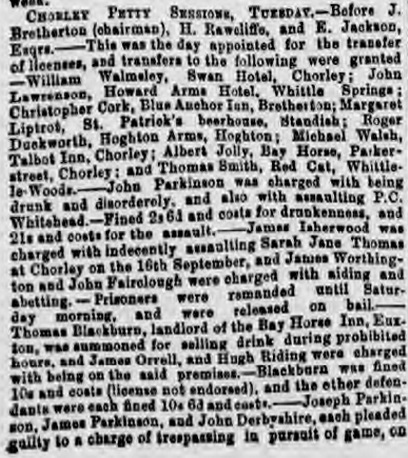 The first record of the Bay Horse on Parker Street was in 1865 where Thomas Hudson from Ellesmere (Shropshire) was the landlord. Six years later Thomas is seen living at the bay Horse with wife Margaret, their son Joseph and step-son George Day. 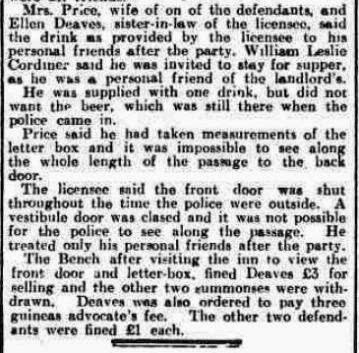 In the late 1870s the pub changed hands briefly when William Baxendale was landlord but by 1881 the license had been taken over by a Peter Hilton from Whittle-le-Woods. 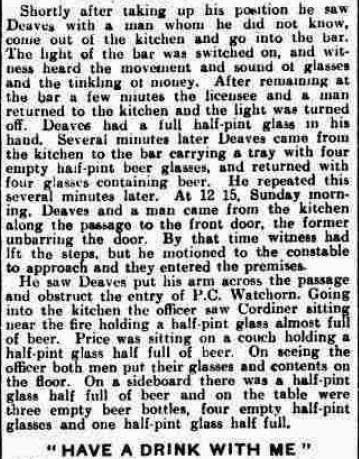 1885 saw another change behind the bar with the arrival of Albert Jolly. 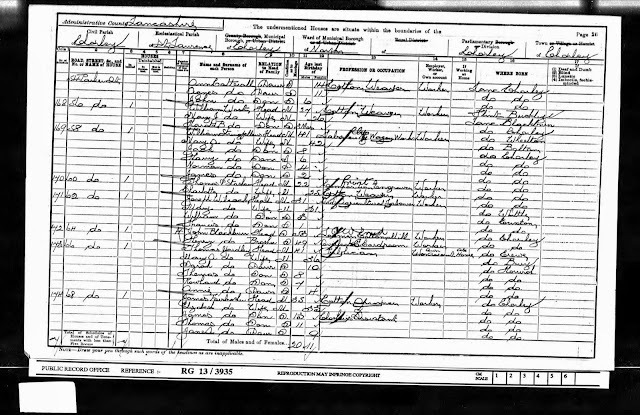 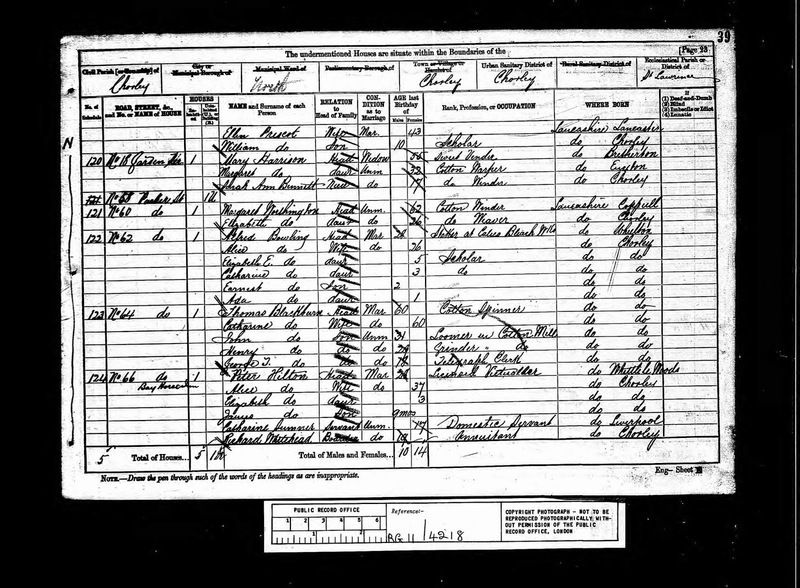 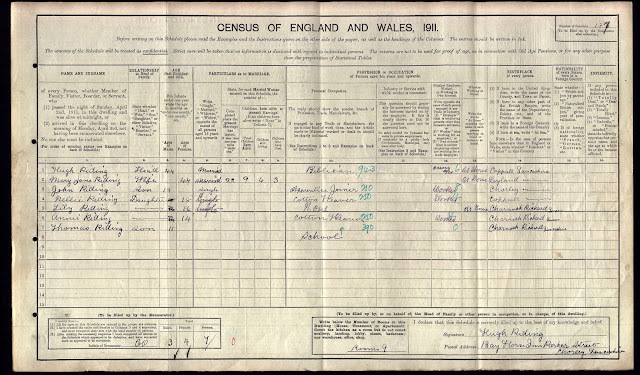 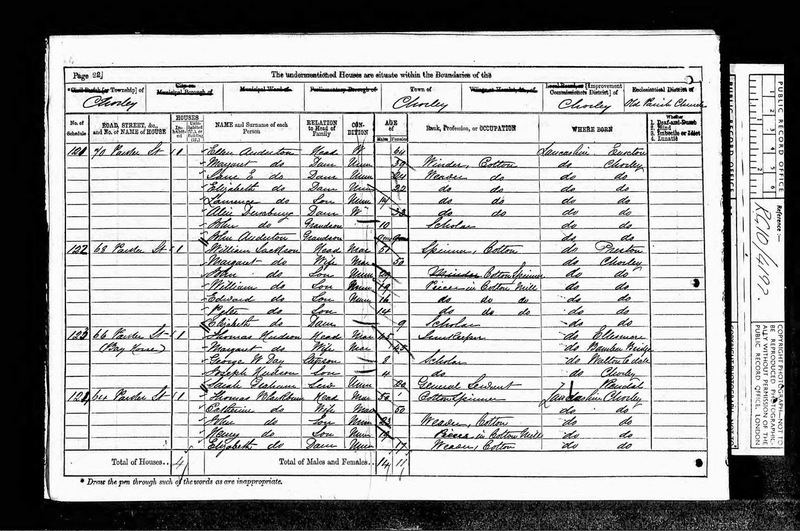 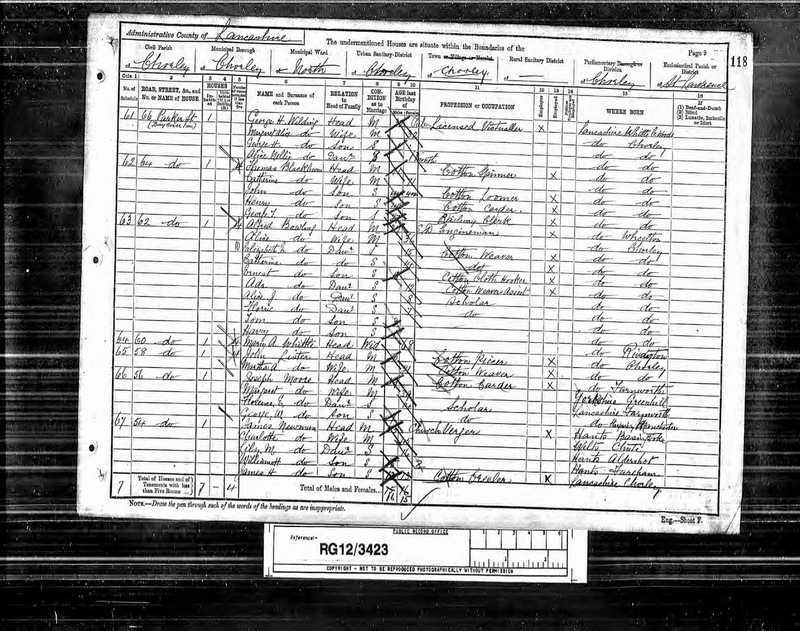 By the late 1880's a George H Wilding had taken over and the 1891 census shows him living at the Bay Horse with his wife and two young children. Following George Wilding were Ambrose Donovan (1895), Thomas Yardley (1901), Hugh Riding (1911), Edward Deaves (1934) and Thomas Gorton (1936). 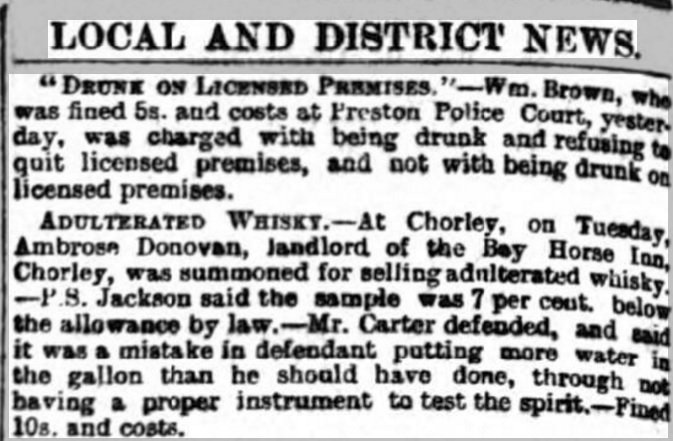 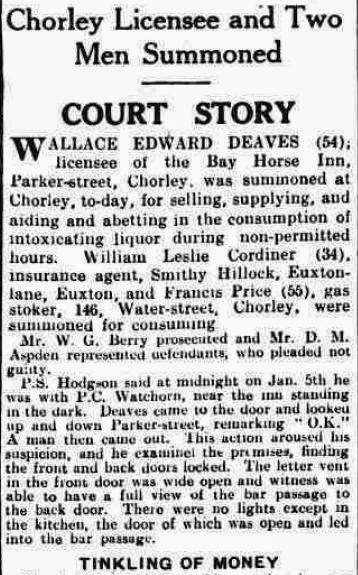 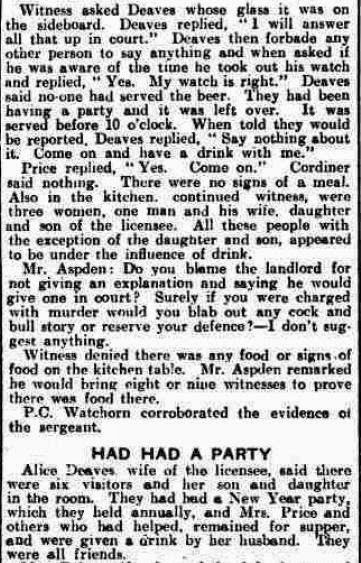 The landlord Wallace Edward Deaves had a torrid couple of years prior to giving up the Bay Horse when first his daughter was injured in a road traffic accident in 1934 and then he was prosecuted the following year for serving after time! 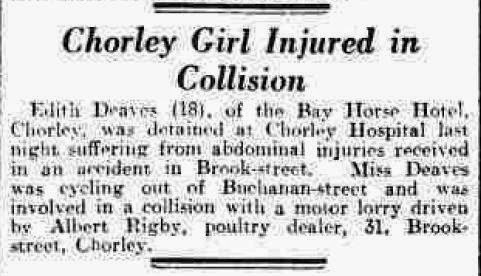 He died eight years later whilst an inpatient at the Chestnuts Sanatorium at Ribbleton. 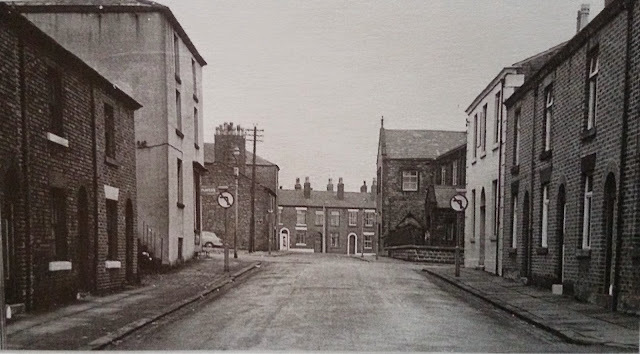 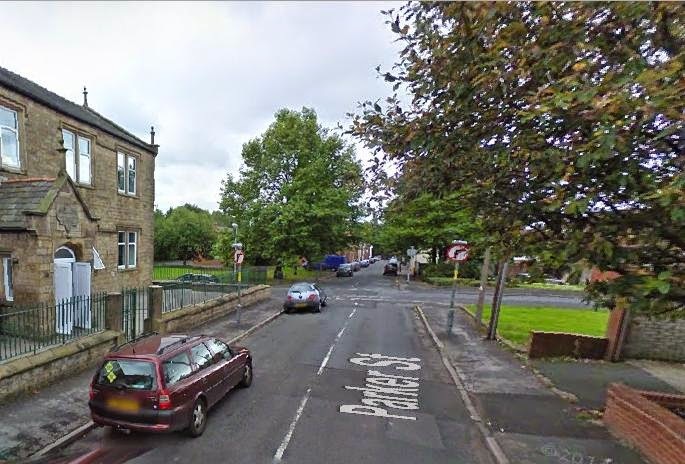 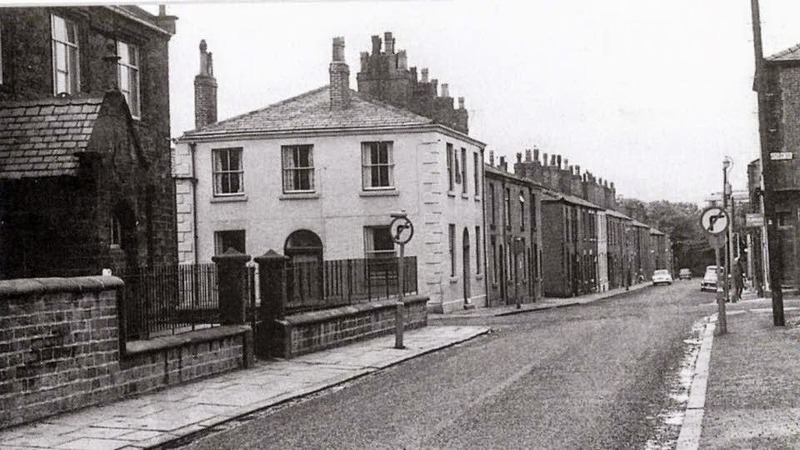 The Bay Horse Inn is no longer standing having been demolished along with the row of houses adjoining it down Parker Street as can be seen from the photo below.